I’m delighted to have you visit Café Cala. I have all of your books and love your writing. I’m looking forward to this next one. I’ve been making a banana and pecan loaf this morning. Would you like tea or coffee with yours? I’ll have tea thanks Maggie. 1 Where did you get the idea for The Woman Next Door? All my story ideas come from life, from watching and listening, from reading and asking myself questions about life and people and trying to find answers. In this book I was thinking about neighbours and extended family, and about issues around retirement and planning for old age. The whole process of writing is rewarding for me. It’s how I learn and how I work things out, so it’s a satisfying occupation, and a great job. It’s also often hard, frustrating and infuriating. It’s always especially rewarding to hear from readers about what they enjoy in the books, especially if something either relates directly to their experience, or helps them to think through something in their own lives. I started my working life as a very inefficient and bored secretary at 16 and then managed to get a job as a reporter on a local newspaper at the age of 21. I always wanted to be a writer and journalism seemed to be a way of getting there. Writing has been my job, or part of it, in a variety of ways ever since then. Journalism is a great discipline for anyone who wants to write. It teaches focus and economy of words, and involves the essential experience of being edited, sometimes ruthlessly, so one learns to self-edit too. It also gets rid of the pretentiousness that most of us suffer from at the start. There is no space or time for being precious about one’s writing or the feedback you get on it. It teaches hard work and attention to the discipline of writing, and the fact that whatever gets published is not only the work of the writer but of all the other people who are essential to getting a newspaper or a book out to the readers. 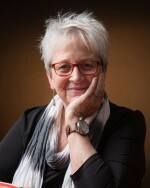 I am working on another novel, a non fiction book on women and reading, and an essay about ageing. Keep writing. Don’t take advice about or feedback on your writing from your family and friends, or anyone who is not a writer, teacher of writer, or an editor. Your family and friends may like what you do and encourage you but unless they know writing and publishing their advice may completely de-rail your work or lead to unreasonable expectations. Don’t expect it to be easy.Re-write, re-write, rewrite, edit, edit, edit – learn to read like a writer which means looking closely at the work of writers you admire and working out how they do it and why it works. Don’t believe it when people tell you that ‘everyone has a book in them’. They may indeed have a book inside them but the process of being a writer is get the book out of the self and onto the page. Ian McEwan, William Boyd, Penelope Lively, Sarah Waters, David Lodge, Craig Sherbourne, Ashley Hay, Carol Shields, Margaret Forster, Pat Barker, Kate Atkinson. Available in all good bookshops on June 28th. Wonderful post, as usual, Maggie and Liz is certainly a favourite of mine, and an inspiration. Thank you, Liz. In fact it would be wonderful to have both you and Liz on my ‘Authors write a letter to their younger self’ blog. I’ll be in touch. Two of my favourite women’s authors chatting together. Interesting to see such an experienced author stressing the importance of multiple edits and rewrites to get the very best out of your story. When a book appears to be written so simply and effortlessly, only writers know how many hours have gone in to making it that way. Thank you Maggie and Liz. Good to see you both have new books published. 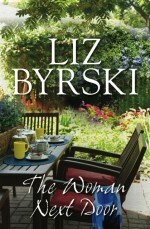 Have just finished “The Woman Next Door”. I love the way Liz brings in flashes of us all , for instance page 311. Polly, Joyce and Mac are about to watch Stella in “Cross Currents” and Mac grabs the remote and turns up the T V ‘s volume . This brought me into fits of laughter, I am 74. I love her writing too, Margaret. She most definitely talks to the mature reader.